188 slot onlineBecome a subscriber today! 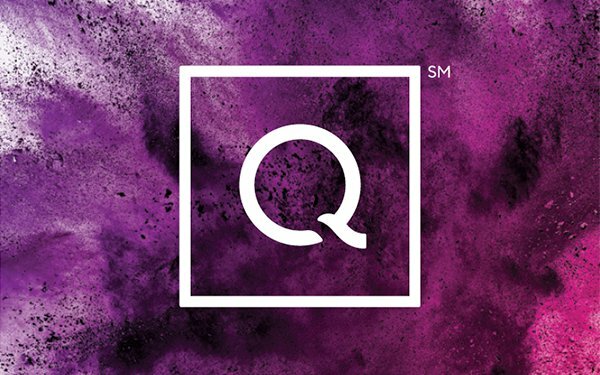 QVC is unveiling a new visual identity and logo as it transitions further away from its old-school TV roots into a leading digital commerce destination. “More than 80% of new customers now come to QVC U.S. via our digital platform," says Mary Campbell, chief merchandising officer of parent company Qurate Retail Group, and chief commerce officer of QVC U.S. The project was originally conceived with Publicis Groupe’s Moxie and the shopping network's in-house creative group, which jointly collaborated to develop common themes, visuals, and messaging. QVC then took these plans in-house to execute across all platforms. The new logo apparently has more meaning beyond its simplistic design. The square is intended to represent the multiple screens that customers may "connect" with QVC, while the circle reflects the "constant conversation" QVC creates with and among its customers. The line that doesn't close the Q fully signals an open door to the QVC community, and the handle that may resemble a magnifying glass has been designed to suggest discovery, according to a company representative. With this rebrand, additional visuals and other elements across the QVC brand are tweaked to better capture attention as shoppers transition from TV to phones. About 60% of QVC US sales are ecommerce sales, two-thirds of which are happening on mobile devices. Photography is now documented to be intimate and candid, with a heavier focus on richer details and organic patterns. Videos are also shot in a casual, unfiltered manner, with close-ups, movement, through-shots and more surprising angles. QVC is introducing new studios that replicate trendy urban spaces, along with suburban settings. Music and copy are also selected to be more playful and spirited. The new Q Anytime app complements the flagship app with an expanded feed of videos, presented in 5- to-8-minute segments, available on demand. By tapping a video, customers can buy a product or get more details. Customers can also customize their feed by category or build a playlist by liking videos. “Our brand identity is a visual manifestation of the evolution of our business and our customers,” explains Susan Ripke, vice president, brand strategy, QVC, U.S. :We’re creating friendly, inclusive environments in digital that invite customers to engage more deeply with us, especially those who are getting to know us for the first time."